As I’m writing this, I’m taking the last bite of my energy bar. I swear. I’ve actually thrown the rest of the bars in the garbage (both at work and home). This includes my Luna Minis (Caramel Nut Brownie, Nutz Over Chocolate, and S’mores), my Extend bars (Chewy Peanut and Double Chocolate), and my Glucerna snack bars (Chocolate Peanut and Oatmeal Cookie). I’m debating whether I should toss my Kashi honey almond bars. They seem so healthy, with Kashi’s Seven whole grains and sesame blend. But they too contain an ingredient that I truly think attacks the body (especially the hormonal system)–soy protein isolate. I want to preface that I am not a doctor (in particular, not an endocrinologist,) and if you happen to love soy protein isolate (or you are a so-called soy nut,) then you don’t have to pay any mind to what I’m writing. This blog is just about one of many things I’m trying to change to better my life personally. Advances in technology make it possible to produce isolated soy protein from what was once considered a waste product – the defatted, high-protein soy chips – and then transform something that looks and smells terrible into products that can be consumed by human beings. Flavorings, preservatives, sweeteners, emulsifiers and synthetic nutrients have turned soy protein isolate, the food processors’ ugly duckling, into a New Age Cinderella. The new fairy-tale food has been marketed not so much for her beauty but for her virtues. Early on, products based on soy protein isolate were sold as extenders and meat substitutes – a strategy that failed to produce the requisite consumer demand. The industry changed its approach. “The quickest way to gain product acceptability in the less affluent society,” said an industry spokesman, “is to have the product consumed on its own merit in a more affluent society.” So soy is now sold to the upscale consumer, not as a cheap, poverty food but as a miracle substance that will prevent heart disease and cancer, whisk away hot flushes, build strong bones and keep us forever young. There is a big difference between fermented soy (miso soup, organic tofu) that the Japanese Centurions in Okinawa consume, and the cheap, hydrolyzed, and deformed kind we consume in a lot of our packaged products here in the States. I love my edamame and tofu (within reason). I’m not cutting those out. It’s the genetically modified soy (GMO) that throws off your estrogen levels, prevents absorption of certain nutrients, and also seems to mess with your thyroid. I’m not even a whole-foods or organic stickler and this scares me. So back to my energy bar disposal! It is difficult to give them up (and it hasn’t even been a day). I’ve become dependent on them. They’re so easy, satisfy my need for sweet, and are always only a desk-drawer or cabinet away. They are also perfect for the plane since I’m always traveling. I need a substitution STAT. I’m on the prowl for an energy bar that doesn’t contain soy protein isolate since I already consume soy through my soy milk (morning coffee), PAM spray (even the organic), soy crisps (Gen Soy’s are organic and non-GMO, OK), and salad dressings (soy bean oil). Frutition new Super Snack Food from Probar (www.theprobar.com). I’ve tried these and they are awesome goodness. NuGo Free (awesome, these are also Gluten and Dairy Free) in Carrot Cake, Dark Choclate Trail Mix and Chocolate Crunch. NuGo -10 (called NuGo-10 because there are only 10 ingredients in each bar. Now, just because the bars are free of SPI, it doesn’t mean that you can stuff your face to your heart’s content (no matter how often I tell myself this). Fat doesn’t make you fat, sugar makes you fat (this topic is a blog all its own). Also, I understand that if you are sensitive to sugar or diabetic, sometimes the bars with the SPI are the lesser of the two evils. So just watch your portions. If you’re craving a bar, cut it in half and save the rest for later. 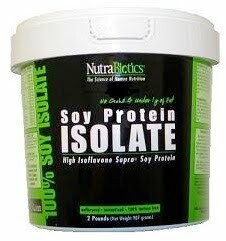 Do you have any suggestions for snacks that don’t contain Soy Protein Isolate? What is your go-to snack bar at work or while traveling? Believe me, if you send me a suggestion, I’ll try it.